2 months of work in progress, 1 month of exhibition. Rosa Chancho is invited as a aguest curatorial collective to make a two months long work in progress project at the Spanish Center For the Arts in Buenos Aires (CCEBA). 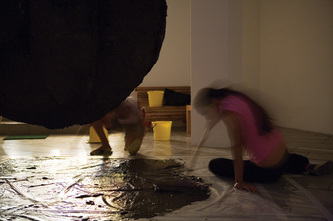 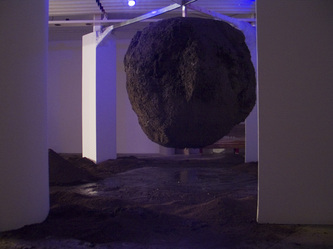 The group built a Mud Ball 2 meters in diameter, as the first intervention of the space and then invited five artists to work around it, with only two materials: soil and water. 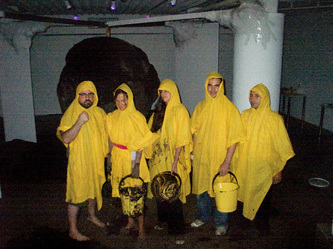 These artists could decide to work in group or alone. 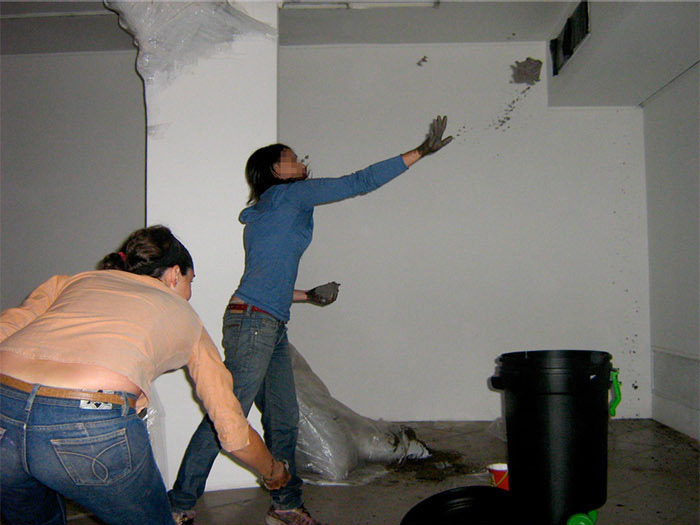 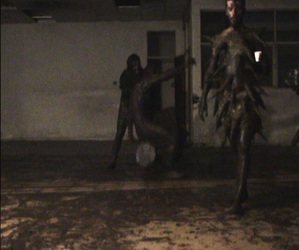 On completion, the First Group invited a second Group of artists, who, in their turn, would invite a third one. 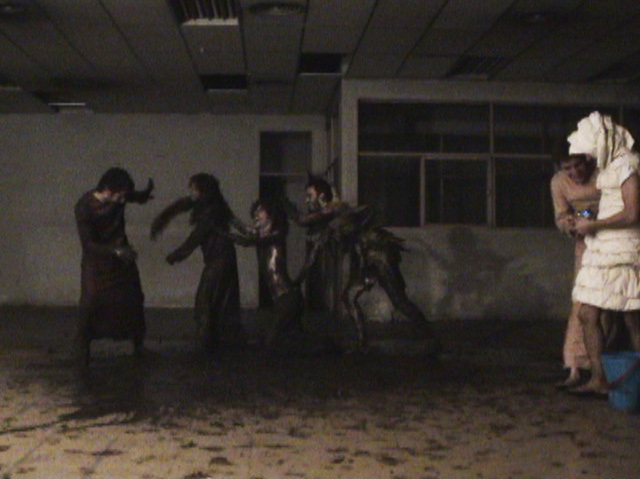 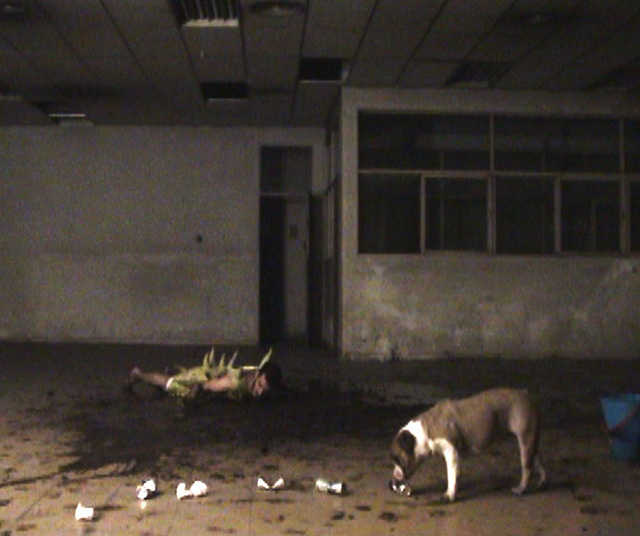 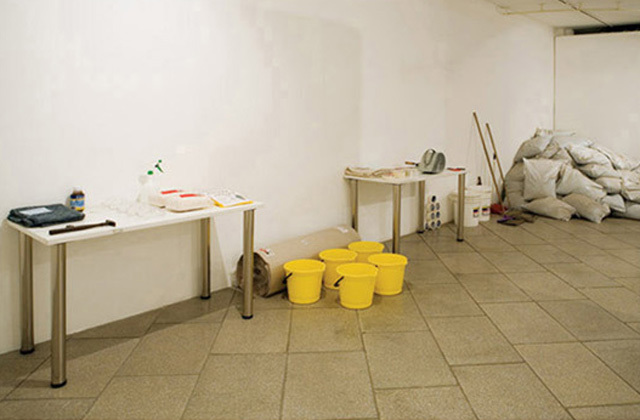 The process ended with The Dark Squad, an anonymous group chosen by Rosa Chancho, whose mission was to achieve visual, conceptual or uncomplete completion.